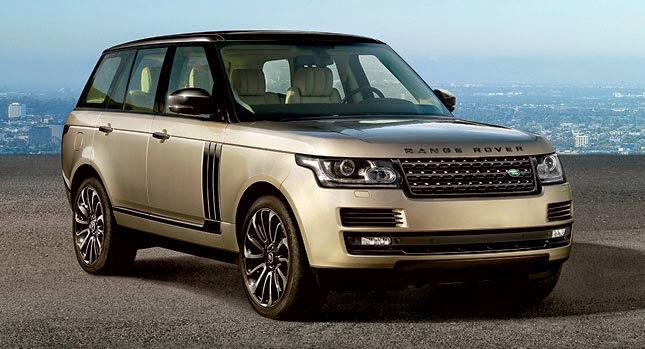 Will Range Rover Sport car be seen in "Bond 24"? Five Range Rover Sport vehicles had been prepared by the specialists of the Land Rover Training Centre Neuss near Dusseldorf, in Germany for the filming of "Bond 24", which will start soon in the Alps. But shortly before being transported to the location the vehicles were stolen along with four other cars with a total value of around 800,000 euros by unknown thieves and every trace of them is missing. and they will have a security update. 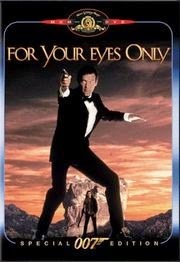 007 infiltrates to Colonel Moon's camp in North Korea disguised as a diamond smuggler. There Moon has collected a storage of lethal weapons and - as Bond says - "modest little collection of cars". The collection includes Ferraris, a Lamborghini, a Porsche and surprisingly also a Ford GT40 painted in colours of legendary Gulf oil Company. 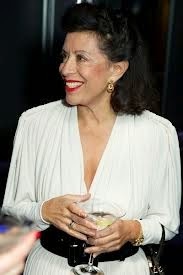 Jany Temime is Costume Designer in "Bond 24"
Jany Temime, who was a Costume Designer already in "Skyfall", returns to do costume designing for Daniel Craig and other stars in "Bond 24". Tiroler Tagezeitung reported that ski sequences of "Bond 24" will be filmed in Sölden, Austria. Sölden is located about 100 kilometers north west of Obertilliach, which is already confirmed as a filming location by EON productions. This will be the first time, when we are expecting to see Daniel Craig's 007 skiing. The filming takes place in two parts. First film crew will travel to Sölden on the 8th of January 2015 and stay there until 15th of January. Then they will come back and shoot between 9th-12th of February 2015. According to newspaper, the crew size will be around 400 people. See more information in German language (Tiroler Tagezeitung) here. When Bond chases renegade terrorist Zao, he ends up to Cuba, where he loans an ideal car to a sunny ride at the coast - 1957 Ford Fairlane convertible. Dates for filming in Rome, Italy seems to be from February 19th 2015 to March 12th 2015. Filming is supposed to happen at least in Corso Vittorio Emanuele, Lungo Tevere and Via Quattro Fountane as well as Borgo Vittorio and Ponte Sisto. Royal Palace of Caserta is also mentioned in some reports. Palace is located in Campania, outside of Rome. London, England: Director Sam Mendes will meet main cast members on late November and filming will start on 6th of December 2014. 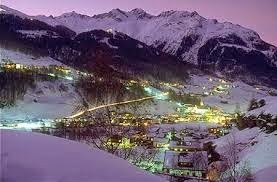 Sölden, Austria: 8-15 January and 9-12 February, where some ski-action scenes are expected to be filmed. Also Morocco and Mexico have been mentioned, dates are not known. Would you tell us about yourself and the activities of UNICEF? I am a fundraising manager, which means that I am a head of UNICEF Finland's fundraising unit and we collect 18-19 million Euros / year for the children of the world. Assets will secure children's rights all over the world, which has led e.g. to the fact that child mortality is not so big anymore. Children survive. UNICEF's assistance goes to where children suffer most in the world. UNICEF is in every country in the world. We help children everywhere they need help, also in Finland, but here help is not money, but more like global education. The assistance always goes where children need help the most, like in situations such as war. The worst situation at the moment is in Syria, and it is bad also in South Sudan and in other emergency sites. There are also huge countries like India, where they have made a Bond film also. I have been watching Delhi through the eyes of an aid worker and street children problem there is enormous. One must give credit to Bond films, that the movies are made in real environments, in spite of the very crazy things. In that time when they made movies there, it was really exotic. How Sir Roger Moore became a goodwill ambassador? Sir Roger Moore was invited, he was named an ambassador on 9th of August 1991. The invitations are sent on the behalf of Executive Director of UNICEF, but there is a group of people that first checks backgrounds the persons. The criteria to become an UNICEF ambassador are very tight. Roger Moore became a Goodwill Ambassador after Audrey Hepburn, and it was Audrey who inspired Roger Moore. She thought that Roger Moore could commit to UNICEF's activities. Audrey Hepburn visited Finland shortly before she died. She was here with her loved one and they were family friends with Roger Moore and Kristina Tholstrup. What are the tasks of the Goodwill Ambassadors? One of the tasks is to be available when UNICEF needs them and of course they can choose some tasks and tell about UNICEF's work to their connections. UNICEF makes an annual plan so they know what is coming up. If we for instance want Roger Moore to visit here and to work for UNICEF Finland, we write a letter to UNICEF in New York. There is a staff taking care of these things. When these people are appointed to UNICEF ambassadors, we are looking for people who have a big place for children in their hearts, like Roger has. They visit the field and people take official photos of them, but those field trips have been so great experiences to all of them that they are talking time after time about of the encounters with those children who they are able to help. When they come to a country like Finland, people meet them and UNICEF gets fame, and donations goes to children of the world. Ambassadors receive one dollar pay check every year, given them by Executive Director of UNICEF, so they are in "paid work". Ambassadors mission is constant, it can be life-long; once an ambassador, always an ambassador. Latest thing that I remember that Sir Roger has taken under his wings, is that he has particularly promoted bequests in favour of UNICEF. How did the ambassador work get started? Work began in the early 50's, in 1954 became the first ambassador Danny Kaye. Then in the 80's UNICEF started to invite ambassadors. Artists worked for UNICEF already earlier, like Marlon Brando, who visited Finland on behalf of UNICEF in 1967. He worked with organization, even though he was not officially a Goodwill Ambassador. Originally, the idea was to invite Danny Kaye - who knew Executive Director of UNICEF - as a only Goodwill Ambassador, but later when the major actors expressed their willingness to act for the children of the world and when Jimmy Grant (James P. Grant) was UNICEF's Executive Director, this became a standard way of working. The concept comes from America, where Goodwill Ambassadors organized large gala dinners after they had been on the field. Ticket prices were very high in these galas. This was the way to collect more money. 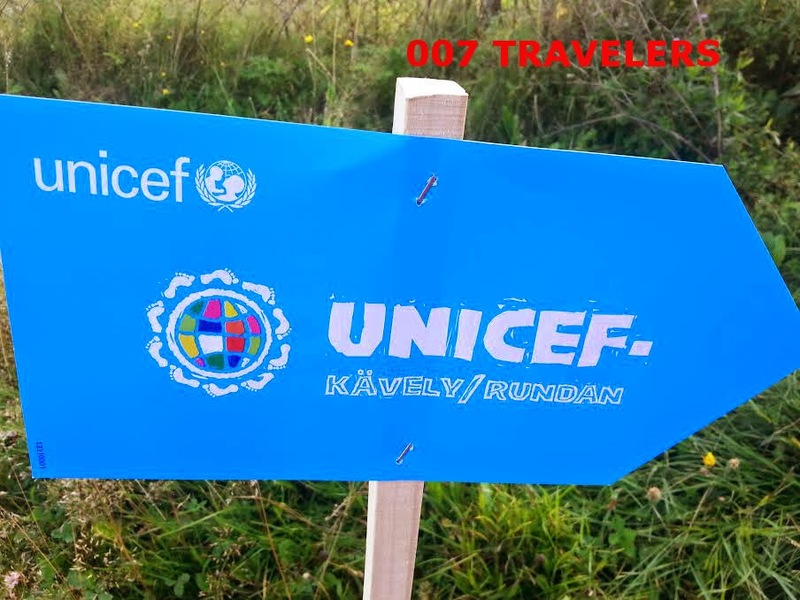 007 Travelers was in Stockholm, Sweden visiting UNICEF's charity gala. At the same time we celebrated "From Sweden with Love" website's 10-year anniversary. Gala Tickets cost 2000 SEK / each. The profit went to UNICEF Sweden. So, it was then faithful to this same concept. Some time back we thought that we could arrange something like this in Finland also and today this would even be possible, but not 30 years ago. Then people would have thought that this would never work. But when the communication channels developed and grew, we noticed that there is a need to have more Goodwill Ambassadors and we started to invite more different kind of celebrities. Now, for example, we have Mia Farrow and David Beckham. The older ambassadors are the most popular. Lionel Messi is the most famous sportsman ambassador currently. We also have Finnish Goodwill Ambassadors such as Susanna Haavisto and Eija Ahvo. National activities started 20 years ago. You have met Roger Moore several times. Would you tell us about him? All of the world stars who have visited here have appreciated the homely atmosphere. They live a very intense public life. And when they have come to Finland, they have been able to walk here in peace. Last time when I met Roger Moore, which was on 4th of September 2009, he was here with his wife Kristina, and we had a really pleasant four-hour meeting, even though we had prepared to keep only two-hour meeting. The Moore couple enjoyed their time in our table. We had really fun time and Pertti Arajärvi was also there. He is our guardian and chairman. When Sir Roger Moore comes to visit Finland, we have always accommodated him to Hotel Torni. When he visited here for the first time, there was only a smaller room available, which Sir Roger described as "cleaning cupboard". On later visits he has always used a Suite (Room number 431). He has a phenomenal memory. I have met him three times on different occasions, and he always remembers to say "Oh, Liisa." It is so confusing and American and charming. He has studied people's names or then he remembers them. 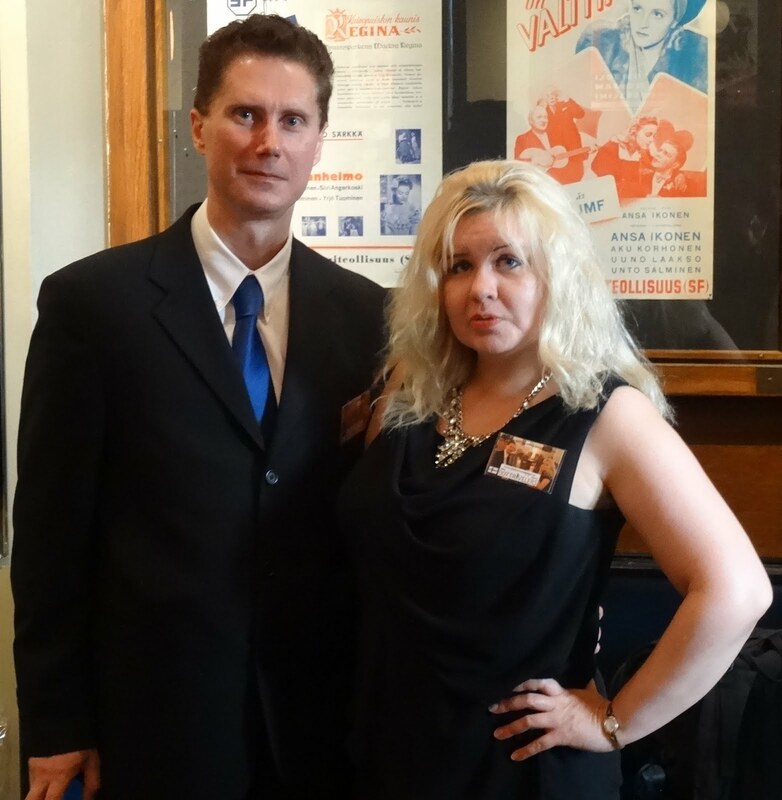 Liisa Susiluoto and Sir Roger Moore. This photo is from Liisa Susiluoto´s album. When we met in May 2009, Roger Moore told what is the hardest thing while filming: to wear a smooth ironed shirt, hair in order, without sweating and not showing any kind of signs of strain, even though you are an action movie star. He said that it was hilarious to make terrible stunts and not sweat at all. He is also a smooth storyteller, and notices others personally. It was an experience to Roger Moore to walk in Esplanadi Park with Kristina and me without any security man. It was a spring evening and a nice weather, we walked out there, and people didn't pay any attention to us. Roger Moore is the latest ambassador, who has visited Finland. He had meetings with important people, and we have always tried to arrange an appointment with our office people. It happened also in 2009. He also opened the UNICEF walk during his visit in 2005 and he had different kinds of roles on behalf of UNICEF. When he visited in 2009, he had his own business at the same time, which was his own book tour. Roger Moore has not visited this building in Kalasatama, but in our previous premises in Lauttasaari he has. That office was located at Perttulantie 6. So, Roger Moore has opened the UNICEF walk in Finland. Would you tell us about the idea of walking? The UNICEF walk concept comes from The Netherlands and first one took place in 1999. Then at that time it was not usual to travel abroad to study. I was able to go to Hague for a day and I got some material from there, which included school walking. It was not a fundraising related, but more like activating students. I'm a trained interpreter and I translated material from Dutch to Finnish and I got one principal and his school to try it. Aim of course is the help to children of the world. The most important thing is an experience to the child. That he or she can decide how much money they can earn by walking. It empowers the child. This is still the idea of the UNICEF walk, that child gets an experience and he or she is important. Each year, more than 180 000 children attend the UNICEF walk. Has Roger Moore done any "face-to-face fundraising"? We have the UNICEF Committee in Iceland. There are more than 200 000 people in Iceland and a lot UNICEF monthly donors. A huge number in a small island. When they started a monthly donation program, the Head of secretary came here and asked how our "face-to-face fundraising" works. We told him and taught all about "face-to-face fundraising". He invited Roger Moore to do "face-to-face fundraising" for one day on the streets of Reykjavik, and we found him to be one of the best "face-to-face" fundraisers. Everyone did not even recognize him. And that way UNICEF has taken Roger Moore to the places where he has not done films. Those places have included much tighter and real situations than in his films. Who is your favourite Bond actor? Roger Moore is my favourite of Bond actors. India and Kerala region, their way of living in general and particularly India's dance- and temple celebration traditions are extremely interesting. The trips are heavy, since we are doing them as independent travelers with my husband. We don't have our own car, but instead we walk with backpacks and waiting for buses. Best destination when it comes to work is Nepal and especially its more unknown western corner. There is something special when you are looking at Mount Everest. 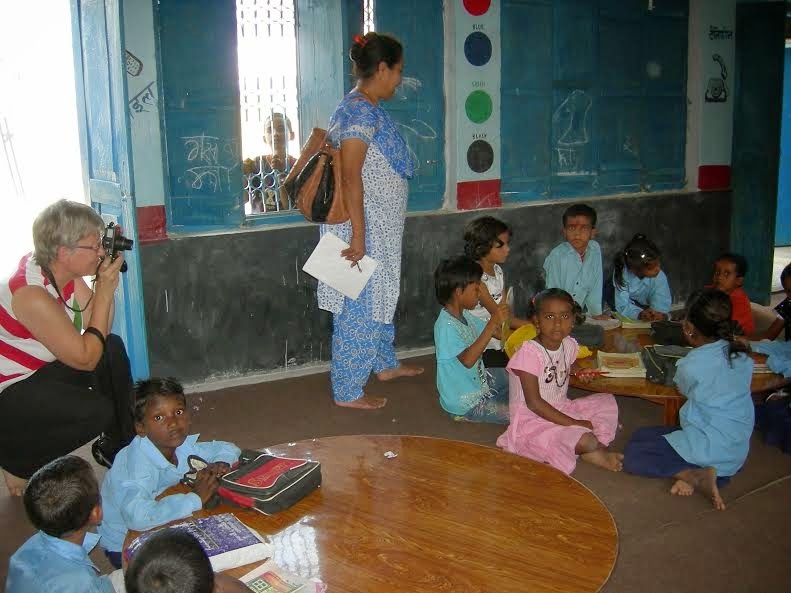 Liisa Susiluoto taking a photo of children of village school in Nepal in 2009. UNICEF has supported school renovation and teaching equipment with a support of monthly donors. I have been in so many nations with a lower standard of living, that my dream would be to visit museums in Europe. Also North Africa´s museums interest me, but the circumstances in those countries are really difficult. When you travel on behalf of UNICEF, you don't have much time to watch attractions, days are so full. One week's journey might include only one hour spare time. However, it is amazing, for instance in Sahara when your driver uses only stars to navigate in the desert. I have traveled with Katri Helena in Nepal. She became a Goodwill Ambassador later after Eija Ahvo and Susanna Haavisto. My latest journey was with Pirkko Mannola, because she dances with the stars (Tanssii tähtien kanssa). Last show of the season is an UNICEF show. This year´s show will be aired on 30th of November 2014. ("Dancing with the Stars, UNICEF"). The goal is to get more monthly donors. UNICEF works everywhere in the world and the easiest way is a monthly donation. If you want to help world's children in need, start monthly giving - direct debit programme for monthly donations to UNICEF. Olen varainhankintajohtaja ja se tarkoittaa sitä, että vedän Suomen UNICEFin varainhankintayksikköä, ja keräämme 18-19 miljoonaa euroa vuodessa maailman lapsille. Varoilla turvataan lapsen oikeudet kaikkialla maailmassa, mikä on johtanut mm. lapsikuolleisuuden laskuun. Lapset jäävät henkiin. UNICEFin apu menee sinne missä lapset voivat heikoimmin maailmassa. UNICEF on jokaisessa maailman maassa, me autamme lapsia kaikkialla missä lapset tarvitsevat apua, myös Suomessa, mutta apu on esim. kansainvälisyyskasvatusta, ei rahaa. Avustus menee aina sen mukaan missä lapset voivat huonoiten. Sotatilanteissa esimerkiksi. Syyriassa huonoiten, Etelä-Sudanissa, ja muissa hätätilakohteissa. On olemassa valtavia maita kuten Intia, jossa Bond-leffaakin on filmattu. Olen Delhiä katsonut avustustyöntekijän näkökulmasta; siellä katulapsiongelma on valtava. Siinä täytyy antaa pisteet Bond-leffoille, että he liikkuvat aidoissa ympäristöissä, vaikka siellä tapahtuu aivan hulluja asioita. Siinä ajassa kun niitä elokuvia tehtiin, se on ollut todella eksoottista. Miten Sir Roger Mooresta tuli hyvän tahdon lähettiläs? Sir Roger Moore on kutsuttu, hänet nimettiin lähettilääksi 9.8.1991. Kutsut menevät pääjohtajan nimissä, mutta ensin ryhmä tarkastaa taustat. UNICEFin lähettilään kriteerit ovat hyvin tiukat. Roger Moore tuli hyvän tahdon lähettilääksi Audrey Hepburnin jälkeen, ja juuri hän oli innostanut Roger Mooren mukaan. Audrey Hepburn kävi Suomessa ennen kuolemaansa rakkaansa kanssa, ja he olivat perhetuttuja Roger Mooren ja Kristina Tholstrupin kanssa. Audrey Hepburn arveli Roger Mooren voivan sitoutua UNICEFin toimintaan. Mitä hyvän tahdon lähettilään tehtäviin kuuluu? Tehtäviin kuuluu olla käytettävissä silloin kun kutsu käy ja tottakai he voivat valita, ja tuoda UNICEFin työtä esiin omissa yhteyksissään ja piireissään ja heille tehdään vuosisuunnitelma mitä on tulossa. Jos esim. haluamme Roger Mooren tänne Suomeen UNICEFin hyväksi, kirjoitamme kirjeen New Yorkiin UNICEFille. Siellä on henkilökunta pitämässä huolta näistä asioista. Kun nämä lähettiläät nimitetään UNICEFin lähettilääksi niin haetaan ihmisiä joiden sydämessä on suuri paikka lapsille, kuten Rogerilla on. He käyvät kentällä ja heistä otetaan virallisia kuvia mutta kenttämatkat ovat olleet jokaiselle niin suuria elämyksiä, että he puhuvat kerta toisensa jälkeen niistä kohtaamisista lasten kanssa joiden elämää he pystyvät auttamaan. Kun he tulevat Suomen kaltaiseen maahan, ihmiset tapaavat heitä ja UNICEF saa nimeä, lahjoitukset kertyvät maailman lapsille. Lähettiläät saavat 1 dollarin vuosipalkkion pääjohtajan kädestä joten he ovat ainakin olleet ”palkkatyöläisiä” . Lähettilään tehtävä on jatkuva, voi olla elinikäinen; kerran lähettiläs, aina lähettiläs. Viimeisin asia jonka muistan Sir Rogerin ottaneen haltuunsa, on se, että hän on erityisesti edistänyt testamenttilahjoituksia UNICEFin hyväksi. Toiminta alkoi 50-luvun alussa, v. 1954, silloin tuli ensimmäinen lähettiläs Danny Kaye, lähettiläitä alettiin kutsumaan 80-luvulla. Taiteilijat toimivat UNICEFin hyväksi, esim. Marlon Brando oli Suomessa UNICEFin nimissä v. 1967, mutta hän ei varmaankaan ollut silloin vielä hyvän tahdon lähettiläs, toimi kuitenkin järjestön hyväksi, vaikka nimitystä ei silloin vielä käytetty. Alunperin järjestöllä oli ajatus, että kutsuttiin Danny Kaye, - joka tunsi pääjohtajan - ainoaksi hyvän tahdon lähettilääksi, mutta myöhemmin merkittävät näyttelijät ilmaisivat halunsa toimia maailman lasten hyväksi ja UNICEFin pääjohtaja Jimmy Grantin (James P. Grant) aikana tästä tuli systemaattinen toimintatapa. Malli on Amerikasta, jossa hyvän tahdon lähettiläät kentällä käytyään pitivät myös suuria gaalaillallisia, joissa oli poskettoman kalliit liput. Tällä tavalla kerättiin rahaa. 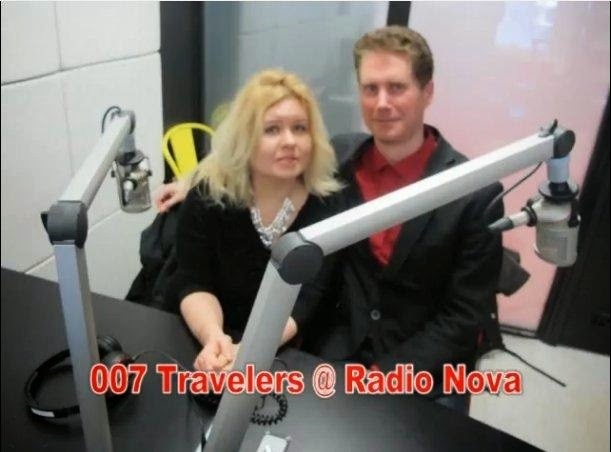 007 Travelers kävi Tukholmassa, Ruotsissa Unicefin hyväntekeväisyysgaalassa. Samalla juhlimme From Sweden with Love -sivuston 10-vuotisjuhlaa. Gaalaliput maksoivat 2000 SEK/kpl. Tuotto meni Ruotsin UNICEFin hyväksi. Eli se oli siis uskollinen tälle samalle ajatukselle. Joskus ajattelimme, että Suomessakin voisi olla tällaista, ja tänä päivänä se onnistuisikin, mutta 30 vuotta sitten se ei olisi tullut kuuloonkaan, koska ihmiset olisivat katsoneet nenänvartta pitkin niihin aikoihin. Kun viestintävälineet kehittyivät ja kanavat lisääntyivät, todettiin, että lähettiläitä tarvitaankin enemmän ja alettiin kutsua mukaan erilaisia julkisuuden henkilöitä. Nyt ovat mukana esim. Mia Farrow, David Beckham. Kaikki vanhat ovat niitä suosituimpia. Lionel Messi on tällä hetkellä varmaan kuuluisin urheilupuolen lähettiläistä. Meillä on myös suomalaisia hyvän tahdon lähettiläitä kuten Susanna Haavisto ja Eija Ahvo. Kansallinen toimintamme tämän osalta alkoi 20 vuotta sitten. Kaikki maailmantähdet jotka ovat täällä käyneet ovat arvostaneet kotoista ilmapiiriä. Hänellä on ilmiömäinen muisti, olen tavannut hänet kolme kertaa eri yhteyksissä ja hän muistaa aina sanoa "Oh, Liisa". Se on niin hämmentävää ja amerikkalaista ja viehättävää. Hän on opiskellut tai muistaa aina ihmisten nimet. Liisa Susiluoto ja Sir Roger Moore. Tämä kuva on Liisa Susiluodon valokuva-albumista. Kun tapasimme toukokuussa 2009, Roger Moore kertoi mikä on filmatessa vaikeinta: olla sileäksi silitetty paita päällä, tukka järjestyksessä, hikoilematta ja näyttämättä minkäänlaisia rasituksen merkkejä, vaikka on toimintaelokuvan tähti. Hänen mielestään on posketonta tehdä hirvittäviä temppuja eikä saa olla hikikarpaloitakaan. Hän on myös sujuva tarinankertoja, ja osaa huomioida muut henkilökohtaisesti. Roger Moorelle oli elämys kävellä Esplanadin puistossa Kristinan ja minun kanssa ilman yhtään turvamiestä. Oli keväinen ilta ja mukava sää, kävelimme siellä, eivätkä ihmiset kiinnittäneet mitään huomiota meihin. Roger Moore on viimeisin hyvän tahdon lähettiläs, joka on käynyt Suomessa. Hänellä oli tapaamisia tärkeiden ihmisten kanssa, ja olemme myös aina yrittäneet järjestää tapaamisen toimistomme kanssa. Niin myös silloin vuonna 2009. Hän myös avasi UNICEF-kävelyn "välivisiitillään" vuonna 2005 ja hänellä oli erilaisia rooleja UNICEFin nimissä. Tämä käynti vuonna 2009 oli sellainen, että hänellä oli myös omia asioitaan samaan aikaan, eli oman kirjansa esittely. Roger Moore ei ole käynyt tässä Kalasataman rakennuksessa, vaan aiemmissa tiloissamme Lauttasaaressa, Perttulantie 6:ssa. Roger Moore on avannut Suomessa UNICEF-kävelyn. Mistä kävelyssä on kyse? UNICEF-kävelyn malli on Hollannista 1999. Silloin ei ollut tavallista matkustaa ulkomaille oppia saamaan. Pääsin päiväksi Haagiin, ja sain sieltä materiaalia, jossa on heidän koulukävely. Se ei ollut varainhankinnallinen vaan oppilaiden aktivointia. Olen kääntäjä koulutukseltani ja käänsin materiaalin hollannista suomeksi ja sain jonkun rehtorin mukaan siihen ja yhden koulun kokeilemaan sitä ja sen tavoitteena on tietysti apu maailman lapsille. Tärkeintä on kokemus lapselle, että hän voi päättää paljonko rahaa kertyy hänen kävelymatkansa mukaan. Se voimaannuttaa lapsen. Tämä on yhä UNICEF-kävelyn idea, että lapsi saa kokemuksen, että hänellä on merkitystä. Vuosittain yli 180 000 lasta osallistuu UNICEF-kävelyyn. Meillä on Islannissa UNICEF-komitea ja se on hyvin omintakeinen. Islannissa on yli 200 000 ihmistä ja hyvin paljon UNICEFin kuukausilahjoittajia. Valtava määrä pienellä saarella. Kun he aloittivat kuukausilahjoitusohjelman, pääsihteeri kävi täällä ja kysyi, miten meidän feissaus toimii. Me kerroimme ja opetimme kaiken feissauksesta. Hän kutsui Roger Mooren feissamaan yhdeksi päiväksi Reykjavikin kaduille, ja totesi hänen olleen yksi parhaista feissareista. Kaikki eivät edes tunnistaneet häntä. Ja sillä tavalla UNICEFkin on vienyt Roger Moorea paikkoihin joissa hän ei ole filmannut. Ne ovatkin olleet paljon tiukempia tilanteita ja todellisia. Roger Moore on suosikkinäyttelijäni Bondeista. Intia ja Keralan alue, elämänmeno yleensä ja erityisesti Intian tanssi- ja temppelijuhlaperinne ovat äärimmäisen kiinnostavia. Matkat ovat raskaita reppureissareina, ei ole omia autoja vaan kuljemme siellä mieheni kanssa kirjaimellisesti rinkka selässä ja busseja odottaen. Työn puolesta paras kohde on Nepal ja erityisesti sen tuntemattomampi länsikolkka. Onhan siinä sitä jotain kun katselee Mount Everestiä. Liisa Susiluoto kuvaamassa kyläkoulun lapsia Nepalissa vuonna 2009. UNICEF on tukenut koulun kunnostusta ja opetusvälineitä kuukausilahjoittajien tuella. Olen sen verran käynyt kehitysmaissa, joten haaveni olisi käydä Euroopassa museoita koluamassa. Myös Pohjois-Afrikan museoissa haluaisin käydä, mutta maiden tilanne on tällä hetkellä vaikea. UNICEFin matkoilla ei jää juurikaan vapaa-aikaa katsella nähtävyyksiä, ne ovat sen verran täysiä. Viikon matkalla saattaa olla tunti vapaata. On kuitenkin huikeaa esim. Saharassa kun seuraa kuinka kuljettaja suunnistaa tähdistä pimeällä aavikolla. Olen matkustanut Katri Helenan kanssa Nepalissa. Hän tuli myöhemmin Eija Ahvon ja Susanna Haaviston jälkeen hyvän tahdon lähettilääksi. Viimeisin matkani oli Pirkko Mannolan kanssa, koska hän tanssi tähtien kanssa (Tanssii Tähtien Kanssa). Shown viimeinen lähetys on UNICEF-show. Tänä vuonna lähetys on 30.11.2014, "Tanssii Tähtien Kanssa UNICEF". Tavoitteena on saada lisää kuukausilahjoittajia. UNICEF toimii kaikkialla maailmassa ja helpoin tapa avustaa on kuukausilahjoitus. Jos haluat auttaa maailman hädässä olevia lapsia, liity kuukausilahjoittajaksi. 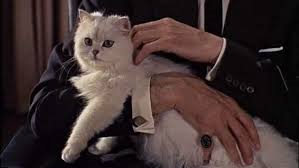 Christoph Waltz is said to play the role of Ernst Stavro Blofeld in "Bond 24". The shooting will begin in December 2014. When 007 comes to North Korea to stop Colonel Moon's African diamond business, Korean officer shows his toys which he has bought with his dirty money. There are latest weapons, but also fleet of supercars, and one of these is a red Lamborghini Diablo. 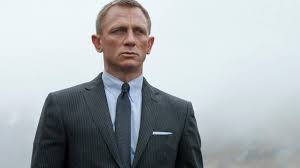 What happens here in the movie: Bond follows Domino Petachi.